Roots has a new and exciting way to support youth, co-ops and the New Economy. 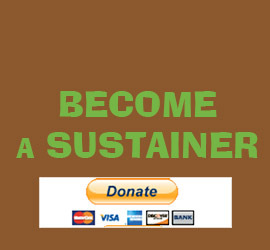 We are introducing our Sustainer Monthly Giving Program! Sometimes folks want to give, but live on a budget, or feel as if an amount is “too small.” We understand, and now with the Sustainer Monthly Giving Program, you get give a little, and have a GREATER impact over time! Becoming a Roots Sustainer means your monthly contribution will happen automatically and, your card will be charged in the amount that you set. Small monthly contributions are easier for you, while offering sustainability to Roots in the long-term. Simply set an amount that fits your budget, and become an anchor to Roots. Please call or email Julius, Co-director of Development with any questions.